How Many Ways Can One Repair Shop Break an iPad? Every once in a while, my sister-in-law stays over at our house. We live fairly close to her work, and if she has something else going around our part of town, she’ll sometimes crash in the guest bedroom. A few weeks ago, she was staying over and came out of her room, upset. She had dropped something on her screen and now had a cracked iPad. It was still usable but definitely not something you want to live with long term. She looked around but was finding most screen replacements to cost in the neighborhood of $125-150. Money has been a bit tight so she was holding out for a better deal. I came across a Groupon where it advertised that they would do replacements for “as little as $85.” Trying to be helpful, I sent her the link. I looked up the place and it was basically a side business off of a cell phone sales shop, where I’m guessing they sold phones from different carriers and plans. She called and asked some questions and they directed her away from the Groupon and said that they actually had a deal where they replaced the screen on the iPad mini for $75. So, she dropped it off. She said that to this point, everything seemed pretty straightforward, and that they said they would have the repairs done the next day. The next day they called and said that they were running a day behind. Hmmm….red flag? So, the following day she drove down there to pick it up and was told that it still wasn’t ready. She was a bit upset by this point because the shop is out of the way and added about an hour drive to her day. Time that she would now have to repeat. They promised that it would be a day or two longer (I think Sunday was somehow part of it and they may have been closed). On Monday, she called and received even more bad news. They admitted that while replacing the screen, they had somehow broken the power button. So she now had a new screen but they needed to fix the button. At this point they refunded the money and promised that it would be another day or two to replace and repair the button. Another day or two passed, and shockingly, things didn’t improve. At this point, my sister-in-law turned the handling of the situation over to her boyfriend, who she figured would be a little bit more forceful to the situation. (He’s a big guy and I definitely wouldn’t want to mess with him). At that time, she also mentioned potentially taking them to small claims court, at which point the relationship started to break down and the guy got mad and said that they would not award her anything if she didn’t give them time to fix it. So, they waited a few more days. By this point, I think the reality was setting in that they had really screwed up this device. They still had the opportunity to make it right. On about day 10 to this whole thing, the person from the store said that he couldn’t fix it but that he was going to make it right and that he had personally made an appointment to take it into the Apple store the next day and would have it repaired. My sister-in-law’s boyfriend found out that you can call the Apple Store and verify, by the device serial number, if in fact there is an appointment scheduled. I’m sure you can guess that there was no appointment scheduled. He texted them asking them why this was, and tried also calling. At this point, they stopped responding altogether. My sister-in-law is good friends with a lawyer (they went to college together), and she called and asked for some legal advice. He advised moving forward with small claims court, and also offered to write a letter on her behalf. I don’t think the letter really said much, but the lawyer speak was largely designed to get them to respond. Basically, at this point they just wanted to scare him. The guy called my sister-in-laws boyfriend and said that he was done, that he was not working on this anymore and that they could pick up the f-ing iPad. Exact quote! My sister-in-law took to the web. She went on Yelp and a couple of other sites and immediately posted one-star reviews and detailed the situation,of course advising people against ever working with this business. The guy called and cussed some more at her and tried the ‘scare tactic’ threatening to sue her for slander. She laughed and told him that it’s not slander if every word is true, which it was. The day after that some reality called in. He called again and offered to pay her near-replacement cost for a new iPad. She just had to go down and pick up the money. The following day she went (with others as backup) and picked up the money. The funny part about it is that the owner’s father was in the store when she went to pick up the money, and he got mad and started cussing….at his son. He knew that his son had messed up the situation so badly that he couldn’t even come to his defense in the slightest. It turns out that they completely messed it up. She has her iPad with a new screen but everything else doesn’t work. Her boyfriend knows someone who looked at it and said that on top of everything else, the system board was damaged and that it is useless. She’s wondering if they did it on purpose. My sister-in-law really put up with a lot. She admitted that she probably should have just paid more up front to a qualified facility. The Groupon purchase may have been more effective in reaching a conclusion once things had started to go wrong. They will typically get involved and stand behind sales that had gone through their site. It was really cool that my sister-in-law didn’t get mad at me at all for passing along the referral. I’m sure she wishes (as do I) that I had simply scrolled past that Groupon. In the end, it was just something that didn’t work out. Readers, have you ever had a repair gone bad? Tell me your experiences in the comments below. *knock on wood* we haven’t had to deal with a company for this yet. But I’ll be thinking of this story if we ever do. What a freaking nightmare! I’m glad she got money for a replacement in the end, but that stinks that she had to go through all that. Hopefully her reviews prevent the same from happening to others. That was tough! 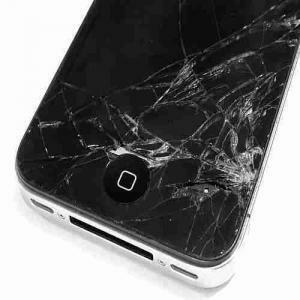 I had a cracked glass on my iPhone and went to a store to fix it that was near where I work which had a Yelp deal. They fixed it but it cracked a few days later! I didn’t even drop it…it was in my pocket. Maybe it was the pressure of being in my pocket?? It was probably cheap glass. They offered to fix it for free if it was their fault…they opened it up and of course said it was not their fault. They offered a discount but no thanks. I went to a friend who owns a store that does the same thing…I should have went their first but it was not convenient. He did tell me that it’s a tough business to be in though and that the devices are pretty delicate. I think the chance that something else breaks when they’re repairing is baked into the cost because of that. Yikes, that’s just as frustrating to find that you thought it was fixed only it wasn’t.